Your smile says a lot about you, but is it saying the wrong thing? Crooked, gapped, or overcrowded teeth can significantly impact your self-esteem and how others view you. Not to mention, your teeth are also harder to clean, which increases your risk of oral health problems, like tooth decay and gum disease. To correct the issues, you’ve considered metal braces, but you don’t want to deal with their visibility and restrictions. What if you could get the results you want without brackets and wires? Now you can with ClearCorrect in Hillsboro. Dr. Brandon and Malinda Kearbey understand traditional orthodontics don’t fit everyone’s lifestyle, which is why they strive to provide their patients with several solutions to improve the appearance and function of their teeth. 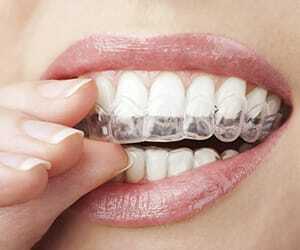 As an alternative to metal braces, they offer the ClearCorrect system. A series of custom-made clear aligners are worn over your teeth to gradually move them into position in as little as 12 months. How Is It Different from Traditional Braces? 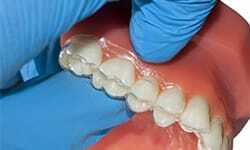 Traditional braces rely on brackets and wires bonded to your teeth to pull them into alignment. Although it’s effective for treating even the most complete bite and alignment concerns, it isn’t cosmetically pleasing. 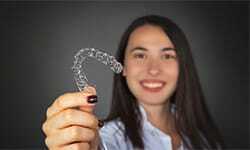 ClearCorrect resolves the common disadvantages of traditional braces. 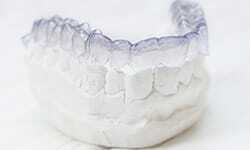 Custom-made aligners move your teeth over time. This provides a discreet solution that’s also comfortable and convenient to give you the confidence you need to stop hiding your teeth. Now, aligners are used to treat an array of issues, like gaped, rotated, tilted, and overcrowded teeth, as well as bite problems. While they are effective, they aren’t right for everyone. You need a consultation with Dr. Kirby to assess your oral health, your lifestyle, and your orthodontic concerns. 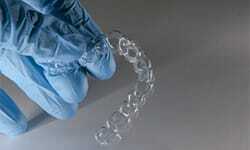 Transparent aligners create a sophisticated and discreet treatment. The aligners are smooth for a comfortable fit, so there’s no irritation to the inside of the lips or cheeks. The aligners are removable to eliminate dietary restrictions. Oral hygiene routine is unchanged because there are no brackets or wires to clean around. You don’t need appointments for adjustments to spend less time in the dental chair. Complete your treatment in just 12 months. 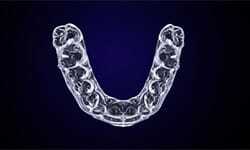 After ensuring you’re a candidate, digital impressions of your mouth are used to create a series of aligners. Each one is designed to slightly move your teeth. You wear one aligner for about 2 weeks before switching to the next. You must be committed to wearing it for at least 22 hours per day, only removing the aligner when eating, drinking, or caring for your teeth. At the end of your treatment, you’ll need a retainer to prevent your teeth from moving back into their previous positions. If you’re ready to get a beautiful smile without traditional braces in Hillsboro, it’s time to see if ClearCorrect is right for you. Contact our office today to schedule an appointment.